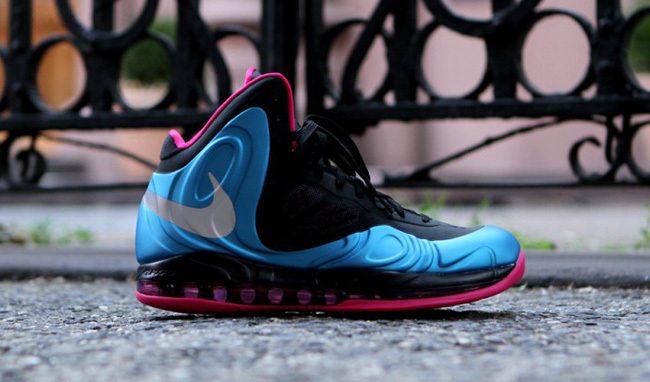 This color way of the Nike Air Max Hyperposite features a combination of Blue / Pink that strays from South Beach and into a unique Fireberry combination. Utilizing hyper fuse and foamposite, this basketball sneaker also sports reflective silver 3M on the swooshes. Fireberry is used on the liner and outsole while Dynamic Blue is used on the foamposite base and Black on the upper, tongue, and laces.